The best natural and organic grocery stores in Central Oregon are all located in Bend, which is the heart of Central Oregon. 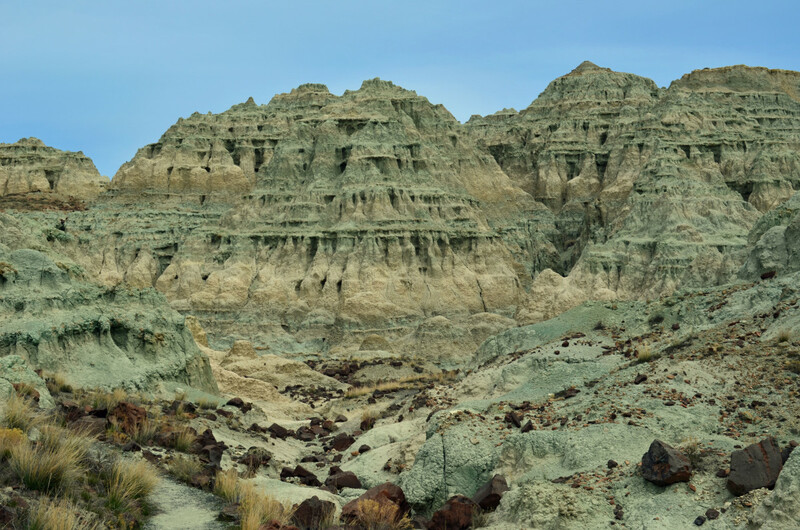 This being said, it is not that far for most of us to make the trek a half hour to an hour into Bend to shop because we have become accustomed to these grocery stores delivering consistently high quality natural and organic food. It may be a tad inconvenient sometimes, (like when the snow flies) but most of us would rather shop at these stores steeped in nutrition rather than shop at some of the other retail stores available closer. At least in my case, I buy a lot of my foods at these grocery stores and buy staple and fill-in items at our regular markets. There are many all encompassing phrases that come to mind when discussing natural and organic products - such as hormone-free, antibiotic-free; no artificial flavoring or coloring, grain-fed, range-free; no preservatives and no genetically modified organisms (GMOs). In my book, the above paragraph says it all in terms of what I do not want in my food so the weekly or several time a month commute to Bend to buy groceries at these stores is well worth the effort. It just teaches you to plan ahead! Come with me for a bit of a tour of Central Oregon's best natural and organic grocery stores! Whole Foods as most of us know is the largest chain of grocery stores specializing in natural and organic foods – and we were fortunate enough to get one in Central Oregon a few years ago. Our Whole Foods Market was actually Wild Oats Market before and that store was a wonderful place to go for the freshest organic produce and butcher shop style meats such as grain-fed beef or free range chicken. However, since converting to Whole Foods Market, our neat little organic market in Bend has only gotten better. To the shopper such as myself, things didn’t appear to have changed all that much except that the products that I had been used to seeing in the Seattle area or Portland area at other Whole Foods Markets started to show up here as well. That is a great thing! Whole Foods is a top quality grocery store and has an extensive array of wines to suit anyone's tastes - from inexpensive new wines to high end. The same holds true for beers. They have a great selection of most products in fact - my husband dreads me going in because it usually takes me forever to shop as I’m so busy looking at everything. 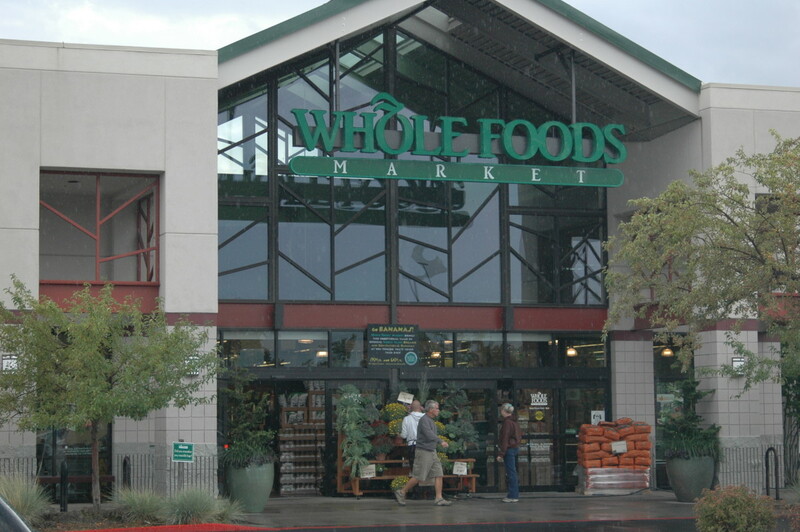 Whole Foods Market also sells an extensive line of household products, pet products, and at least one aisle is devoted to books on nutrition, another to health products such as vitamins, aroma therapy oils, organic soaps and skin products, etc. You can find anything you want in this store nutritionally wise - and for all ages. There is even a kitchen section for great little gadgets for the cooking minded person such as myself - like Asian vegetable steamers, teapots, and kitchen gadgets - and more handy books on healthy cooking techniques. The produce department is a cook’s paradise. As we are located in Central Oregon, it's sometimes difficult to find something you really, really need for a recipe such as fresh basil or saffron let's say - in the dead of winter. However, I can almost bet that if I’ve exhausted every other source, I can find it at Whole Foods. From such unique offerings as yellow beets to yellow asparagus - everything in their produce department is like it just came out of the garden. I have never made a bad purchase at Whole Foods. All their produce has been of topnotch quality and superior in flavor and freshness. Even though Whole Foods Market is a large chain (having almost 300 stores in North America and also the United Kingdom), they seem to truly care about the tenets of healthy eating, preserving the planet, and encouraging the principles that foster natural and organic methods of farming and food preparation - going back to the way it was. The first Whole Foods Market opened in 1980 in Austin, Texas and they have been going ever since. They claim to care about great tasting food and like to share it with the world – I believe that is 100% true! Whole Foods sponsors salad bars in schools and thus far has sponsored 350! Check out their organic baby products such as chlorine-free diapers and organic baby foods or browse their pet aisle for great products. Their household cleaning products are also environmentally kind. Don’t miss their coupons on-line! On-line you can check on search for items or information under Health and Nutrition, make grocery lists, check out their recipes for healthy eating and find out about culinary education classes such as Eat Right America and The Engine 2 Diet (both 28-day programs). Whole Foods in Bend is located on the east side of Bend on Highway 20 in the same shopping area as Costco. 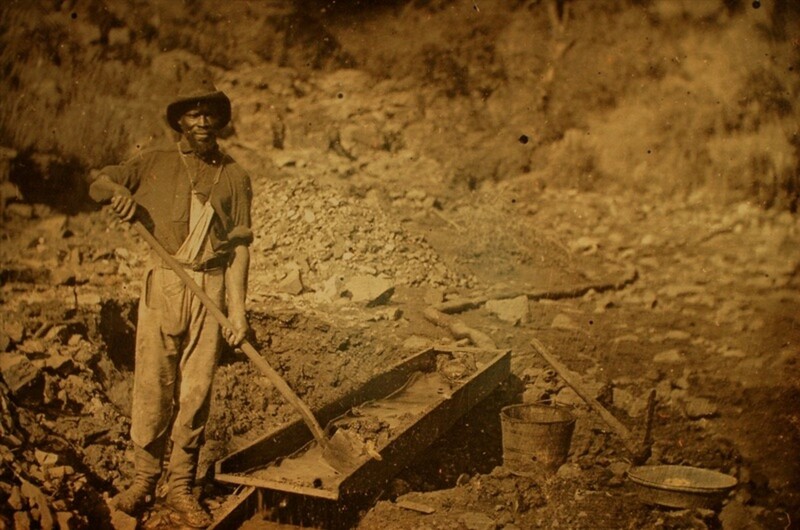 Hours are 8:00 a.m. to 9:00 p.m. 7 days per week. The Newport Avenue Market has been a part of Bend for almost 20 years. Located on the west side of town, Newport Market has always been a favorite spot of mine to shop. I first discovered it on vacation more than 10 years ago and this was my ‘go to’ store for quality meats, produce, wine and anything else I could think of to throw into my cart - before we had Whole Foods or I discovered Wild Oats. Shopping at Newport Market is like shopping in a gourmet supermarket because everything looks wonderful, is of the highest quality in terms of freshness and it just has that ‘gourmet’ feel to it. Recently when I couldn’t find veal shanks for osso buco, I stopped in at Newport Market and sure enough, they were there in the freezer case. They must have known I was coming! They have an extensive selection of wine and beer also. There is a video on youtube showing someone videotaping it and going on and on about how many beers. (Of course, there are a lot of beers here in Bend). They often have wine tasting in the store so be sure and check the website for times. Along with their wonderful selection of wine and beer, they also have an extensive offering of different cheeses. Newport Avenue Market is said to be one of the best grocery stores in all of Oregon for their selection of cheeses - to include several from local well known organic producers such as Tumalo Farms and Juniper Grove Farm. They also have a terrific bakery and deli section where you can buy just about any kind of artisan bread or roll and a myriad of freshly made desserts. You can also indulge in their service called On-The-Go-Gourmet and they will make up anything from dinners to boxed lunches for you - all of the healthiest, freshest ingredients and saving you time when you most need it. The produce section of Newport Avenue Market is also a wonderful place to pick up the freshest ingredients and herbs - some locally grown but all organic and as natural as humanly possible. The meat and fish department boasts such wonderful things as organic chicken, grain-fed beef, New Zealand lamb and fresh wild caught fish - don't miss out when it's Copper River Salmon time! If you are in the mood for flowers, check out their wonderful floral department where you can pick up anything from bouquets to flower baskets. Ah, but they do not stop at mere food! This is the part where my husband shakes his head and rolls his eyes. They also have a huge selection of Le Creuset, All-Clad and Emille Henry pans and accessories. The gourmet portion of their store can trip you up for an hour! It is a great place to pick up gifts – for yourself or someone else. It is also a great place to browse for cookbooks and think about what you want to cook up next. All in all, Newport Market is a spectacular place to shop if you are visiting or if you live here – again those hard-to-find items you are looking for will most likely be right there on the shelf or in the case waiting for you. Check out the Foodie Feed RSS on line and don't miss out on the Foode Flash Card - earn rewards for shopping at Newport Avenue Market. They also have the Barket Report on line for store specials and offer recipes and nutrition sources on-line. You can even get a flu shot at Newport Avenue Market! 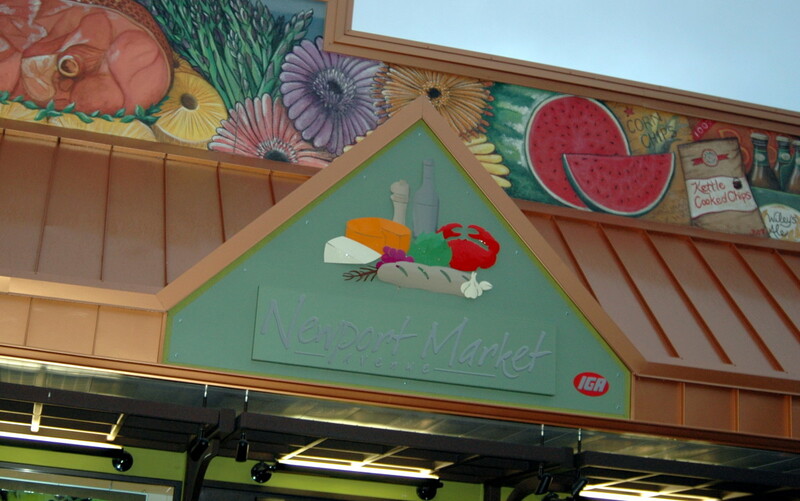 Newport Avenue Market is open for your shopping convenience 7:00 a.m. to 10:00 p.m. daily. Nature’s General Store is located in a strip mall in the northern end of town in Bend and has been there forever it seems. They are easily forgotten simply because I think their location keeps them out of your line of vision. 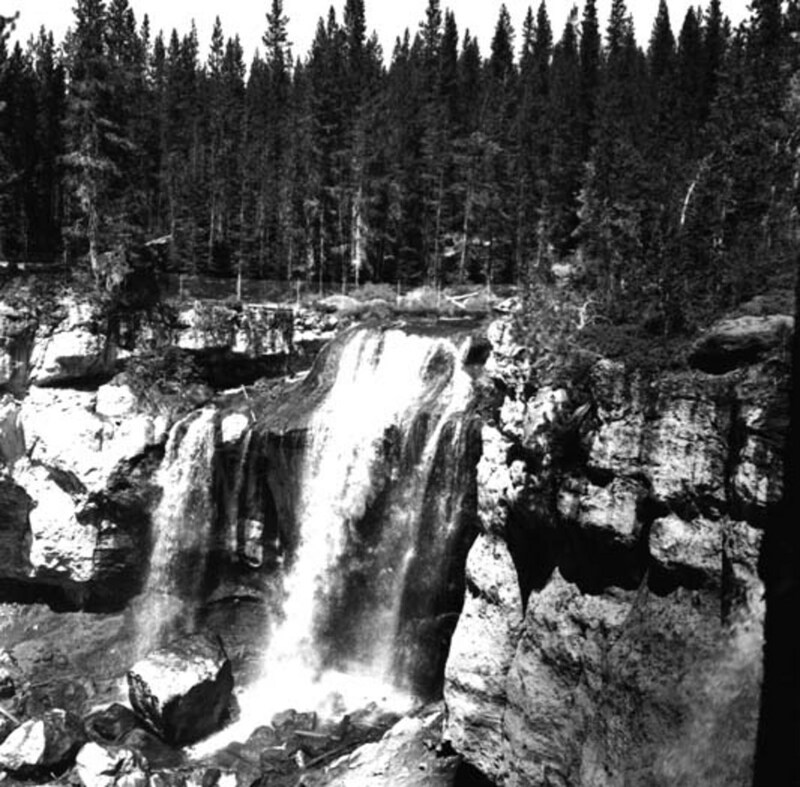 However, again, when I’ve gone into Nature’s, I’ve always found things to be tiptop in terms of quality of food, availability of products and they seem to be very reasonably priced. Nature's is a family owned store that has been a hallmark of Bend and Central Oregon since 1983. They have received the Best Health Food Store award (voting via the Source) in Bend for the 7th year in a row! They have a great selection of frozen meats and fish which are all natural and they also have fresh baked breads from the Village Baker – one of my favorite bakeries in town. For a small store, they have an amazing array of products that are all natural and organic. Check out the extensive selection of health and beauty products. They have a soap called Cowboy Soap that we can't find anywhere else in Central Oregon and we keep coming back for more! 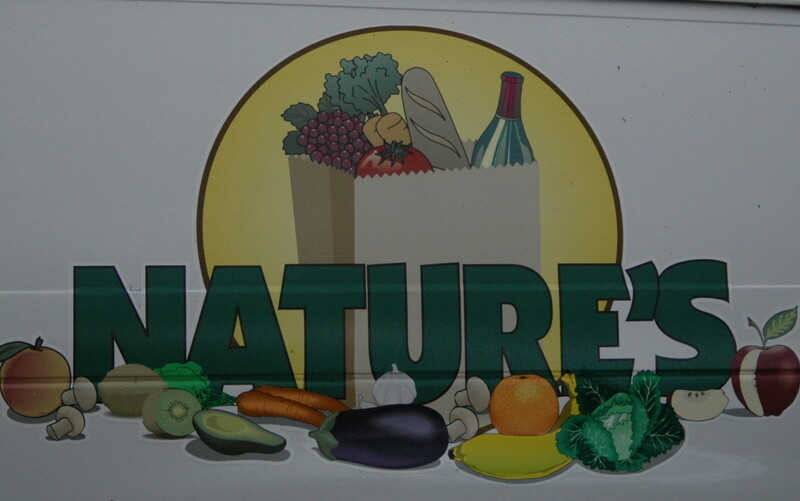 Nature's has an on-line program called BuyClub - you go on line, order your products, and then have them delivered to the Nature’s store for you to pick up. Orders must be in by 7:00 p.m. on Sundays and orders will be waiting for pick-up by 3:00 p.m. Tuesday. Minimum order is $50. 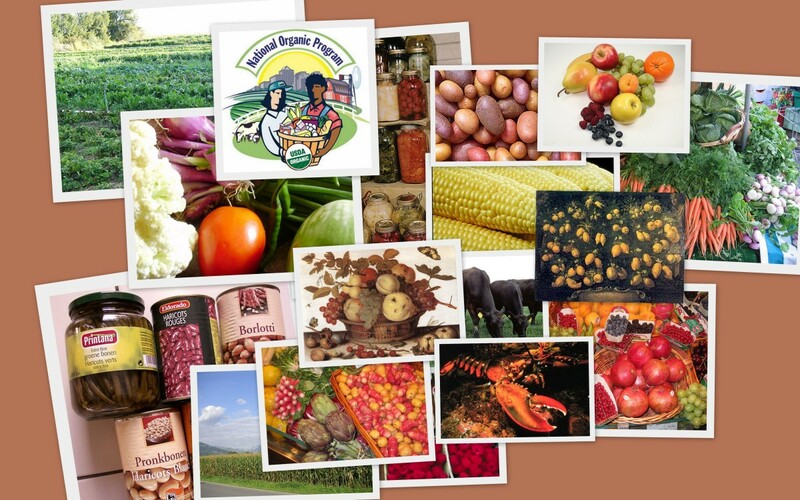 Specializing in organic products, Nature's also tries to offer as many local products as possible. You can check them out on-line and you can also check out the monthly specials there. The website will alert you to new products that have arrived and you can find recipes for delicious things like Asian Salad or Homemade Granola Bars. Nature's believes in the principles of natural and organic products and offers customers 100% cotton produce and vegetable bags for $1. They also donate 10 cents from every bag to the Environmental Center and the Humane Society of Central Oregon. The owner also matches every dime in donations. You can find all kinds of useful nutrition information - don't forget to check out the vitamins and supplements. If you're looking for quality products and a friendly place to shop, check out Nature's General Store. Hours are 9:00 a.m. to 9:00 p.m. Monday through Friday; 9:00 a.m. to 8:00 p.m. Saturday, and 10:00 a.m. to 8:00 p.m. on Sunday. Trader Joe's finally made it to Bend a year or so ago and everyone I know couldn't be happier! I was used to Trader Joe's from living in the Seattle environs for many years and was ecstatic when they finally opened a store here. Joe's has 344 stores nationwide and is one of the best stores to shop for natural and organic foods. As a little bonus, you can't beat their prices! I confess that since its arrival, Trader Joe's has fast become my favorite hang-out. They have such a variety of things all the time that I end up spending more time than I normally would in a grocery store just because I owe it to myself to know what's new, right? One of my favorite things to buy up every year are the fresh basil plants. For a mere $2.99, throughout the late spring and summer, I buy huge fresh potted basil plants and then use the basil for all my dishes – finally drying any that I can't use in cooking before I buy a new one and start over. What a great addition to my kitchen. In fact, this summer we had 2 fresh basil plants growing in the window. I used it to make all my sauces and salads – not to mention using it on pizza! The cost of one plant compared to buying a packet of fresh basil with a couple of wilted pieces at $5.99 - priceless! The products at Trader Joe’s are also outstanding in terms of being natural and organic - and in my mind, so economical that it just makes sense to shop there. Their products such as organic broth or organic beans for instance are far cheaper than at the regular chain store. Most grocery stores mark up anything that is organic or 'natural' - at Trader Joe's I feel that it is being treated as the way things should be in the first place. I buy ham slices there that have no artificial ingredients and no nitrites or nitrates – same with any bacon we might use. Their meats and poultry are absolutely wonderful and again, at a reasonable price - with no hormones, no artificial color. Trader Joe's dairy products are some of my favorites as are their cereals. Many of their cereals are lower in sodium than any other brands and no artificial ingredients. We also stock up on nuts and trail mixes at Joe's at a super low price! If you're looking for real maple syrup, check out their price! I buy some of my produce at Joe’s. I probably would buy more but some of their produce is pre-packaged and there is just simply too much for a family of 2. If I can use it, I buy it. Luckily, some of their produce is sold separately - we’ve had wonderful organic peaches, pears and plums all summer long as well as melons and apples. Another of my favorite products at Joe's is the frozen seafood. I buy wild caught salmon and whole albacore tuna in the frozen section of the store. It's extremely reasonably priced and if we want tuna sandwiches, I grill the tuna and flake it, then use as regular tuna. They also have a tremendous selection of cheeses, crackers, all different kinds of chips made from vegetables or organic corn, cleaning products and beauty products as well as some of the best (so they tell me) dog biscuits my dogs have ever had! Don’t miss their wine and beer section either! They have all kinds of great bargains from 3 Buck Chuck to wines from Chile or Spain along with distinctive brews for the beer minded such as Newcastle, which is one of my husband’s favorite beers. You can find Joe's helpful nutrition facts on-line and can find fantastic recipes like Breakfast Casserole or Rumble Cakes there too. They have the Fearless Flyer to let you know about new products and if you go directly to your local store's spot on-line, you can find what new products are there just for your area. You will also find a wine guide on-line to help you decide what wine goes with what dish. You will also find tips on fish preparation for example, coffee questions, olive oil differences and any products of concern - such as the egg crisis right now. Joe's products have no artificial color, no preservatives, and no added flavorings. They also are not genetically modified. Why are Joe's prices so low? They buy private label brands and accent the value of the food. They also buy direct from the growers and thus are able to sell to us at a reasonable price. 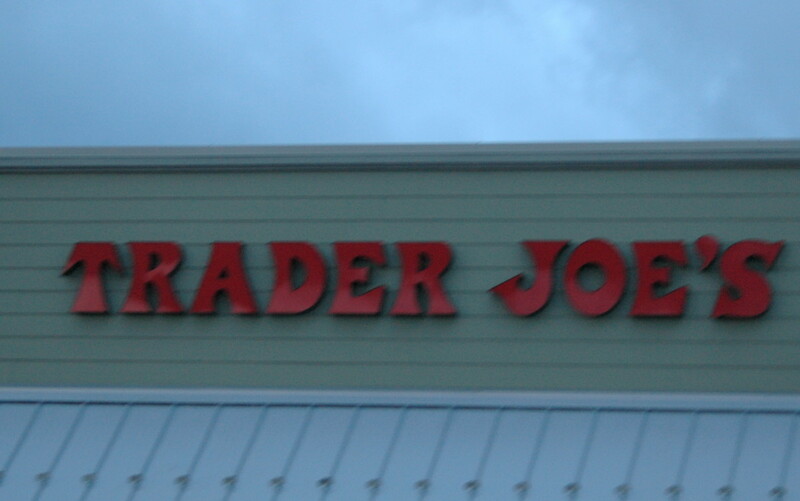 Trader Joe's started in 1958 and the markets were called the Pronto Markets. In 1967, the Pasadena store became the first Trader Joe's and it has been history since. Trader Joe's also believes in each store supporting their own community and you can find their donations and contributions on-line in your particular area. All in all, again not sure what we did without Trader Joe’s before it arrived! Make sure you pop in and check out their seasonal stuff as well because they pull out all the stops around the holidays or any major event or time of year. Every trip is a new adventure browsing the store for me. Hours are 8:00 a.m. to 9:00 p.m. Here in Central Oregon, we do have stores such as Safeway, Fred Meyer's, Ray's, Albertson's and Erickson's - in Prineville, we have only Erickson's and Ray's and have to drive at least a half hour to shop at any of the other stores. While their produce and food in general do hit the mark in some categories and we try to shop local as much as possible, we are sold on the above stores and usually weekly make a trip into Bend with our cooler and shop at these stores. Why? Because it is important to us to eat as healthy as possible and we do see a difference in the food that we buy at some of these chain stores as opposed to these natural and organic grocery stores. Even though 2 of them are chain stores, there is a definite difference to our eye between organic produce at Safeway versus the produce at these stores. We are fortunate to have quality stores that we are able to get to - and I daresay that we support all our stores quite admirably in one fashion or the other looking for the best bargains and the best quality of any product. However, when it comes to nutritious food and quality food, I give these 4 stores 2 thumbs up and think you will too! A guide to natural and organic foods. Natural vs Organic...what is the difference? Natural Vs Organic Food - What's the Difference? Diet experts and green living enthusiasts alike toss around terms like natural and organic, but what exactly do they mean? And which one is better, both for you and for Mother Earth? And hey right back - I stopped by Jackson's Corner for lunch and sat outside with Bob and Griffin and I'm wondering where the heck I have been living that I missed that place!!! Thanks to YOUR hub!! Bob hates to see me go into ANY of these stores because he knows it is not a quick trip! Thanks so much for the compliments and I knew you'd know what I was talking about! Thanks for the read! Thanks Steph - Just driving to get the pic the other night after swim aerobics, I wanted to go in SO badly. Bob shot me the warning look though. He knows that when I get inside that store, he's not seeing me for at least an hour. Darn - too bad I have to go shop in Bend today....I just may have to check out those brown rice sushi rolls. I've never had those! Thanks for the read! I love all these places - Newport Market is like a shopper's dream. I'm going to be on that side of town today and am thinking about getting some of their specially made brown rice sushi rolls (drool)! Of course, Trader Joe's and Whole Food are favorites of everyone. I've been to Nature's Market once for some natural supplements. It's a small, but friendly spot. Thumbs up! Thanks HH - you are right about that; even here it is much more expensive. It seems like they can charge MORE to leave things out - how does THAT make sense? I am happy that at least in this hillbilly area we can at least find somewhere to buy good food! That is a miracle if you ask me. Thanks so much for the congrats and the read! Micky - Sounds like you would be a Trader Joe-ite - and a Whole Foods-ite. Great for you!! We love those stores and that is one of the plus sides to living here. 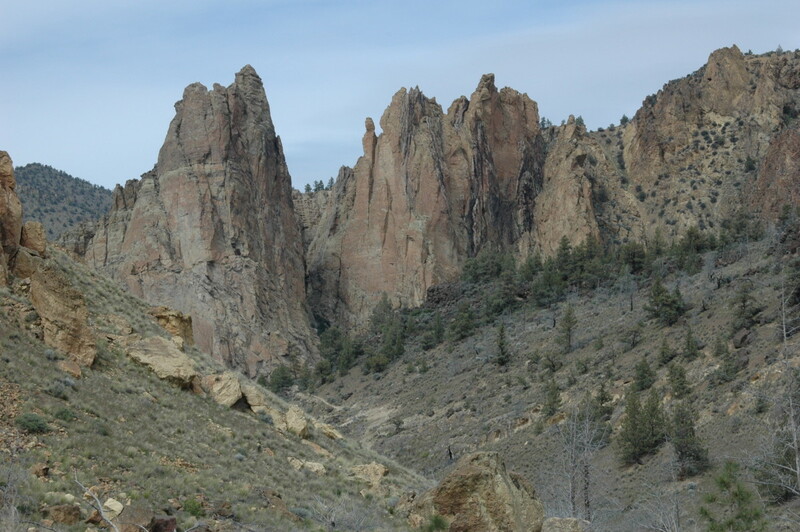 Of course Prineville has the worst grocery stores known to man and are so blasted expensive it is insane - so it is good that we don't mind driving to Bend. Thanks for the read! I love Trader Joe's!!! And I eat at Whole Foods all the time. I'm looking for a granola-head for sure. Thank you Ma'am! You are so lucky. Over here it is hard to find organic food, especially meat. Then when you do see it, it is so high priced that you can't afford it. I am sure the supermarket at the end say, " oh, the pyblic doesn't readlly want it" and cancel it. It had already an article in the paper that they don't think it is any more beneficial and it will be faced out. Just to force the garbage on us. Yes, it is no more beneficial in nourishment but they use it and don't talk about damaging health with all the pesticides in ordinary food. Let's face it, the chemical companies would have a great loss. Well written hub, Audrey. Congratulation. Thanks for the read, Sandy - I love Joe's and Whole Foods! We don't have these stores here. But Whole Foods Market and Trader Joe's and where my daughter is going to school. Well, that's fascinating - something to think about. Thanks for commenting Raymond! Well I don't know about your selling organic foods,but over here in aussie land lot of organic food is being sold now as people are turning to it, BUT now the other food is harder to sell, so what is happening now is that the other food they are calling it organic just to sell it. Thanks, Simone - they made it easy for me being here in the first place....even though it is an hour drive usually one way, we don't mind so much. As long as we have quality food to buy - it's all good! Wow, akirchner! Bend really has it all! And gosh- you really shared everything there is to know about these places! I DARE someone to come to this hub and NOT find everything one would need to know in order to make a decision on where to shop in Bend, Oregon. Great hub! OMG BJ - You CRACK me up! At least they aren't genetically modified orgasms - I guess that would be not so good. Or giant meat-fisted oafs - yuck! Thanks for the read darlin'. Thanks for the education: GMOs are Genetically Modified Organisms. Similar to a blind date I once had! Thanks Crewman6 - after going to all those great restaurants, you have to hit the flip side and do healthy cooking at home! Good read, and a nice tour through the healthy side of Bend! Thanks Carolina Muscle for the read and the compliment!